If you’ve ever walked into an Apple Store, you likely saw the Hue bulbs. They’re great, but they’re also pretty expensive. Turns out they’re not the only smart bulbs on the market, and the Large ilumi LED Smartbulb seems like a great alternative. 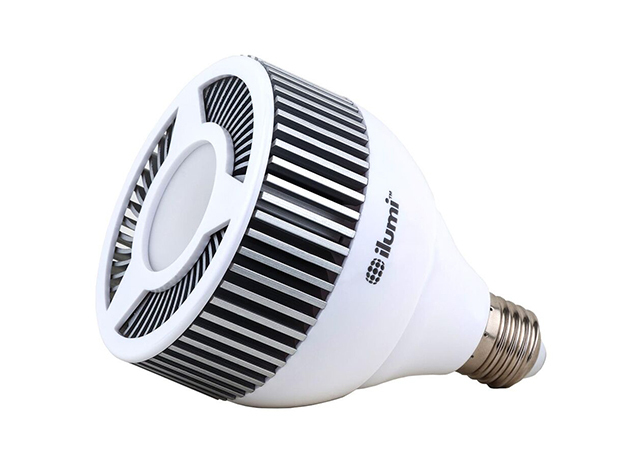 Our favorite ilumi smartbulb is now available in a larger size, and is the perfect boost for your overhead lighting. Using the free app, you can adjust the color and brightness of your lighting or explore amazing built-in programs to experience lighting like never before. Like its smaller counterpart, the larger smartbulb has a life expectancy of 20 years and five times the energy efficiency of a regular bulb to optimize the way you light your life. Normally you’d have to pay $100 for one of these, but with today’s deal it’s $55! By David Ponce on 04/24/15 • Leave a comment! What do you get when you combine the power of electromagnetic induction, and uh, magnets? 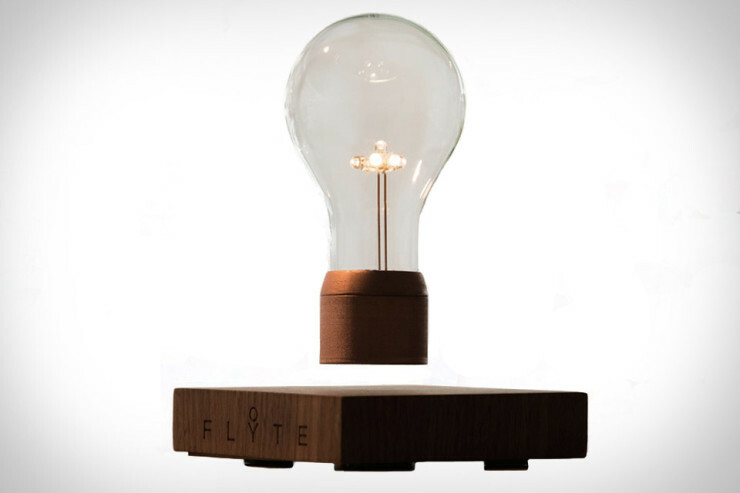 You get the Flyte LED Lightbulb, of course. Much like the wireless smartphone chargers you see today, this LED bulb is powered from a distance through the magic of electromagnetic induction. But the added flair in this product is that the entire bulb and housing levitate above their base, slowly rotating. The base is plugged into an outlet and some electromagnets keep the bulb in place, while powering the LED. 5V of power are sent through the air, which is enough to generate a modest 60 Lumens. At $249 it’s on the very pricey side, but think of the amazed looks on your guests’ faces and maybe you’ll think it’s worth it. There’s something special about old timey stuff, and the old Edison lightbulbs with the huge filaments harken back to simpler, less fast-paced times. Wanting to recreate some of that aura, the Buster Bulbs are shaped somewhat like their century old predecessors, but feature very modern technology. 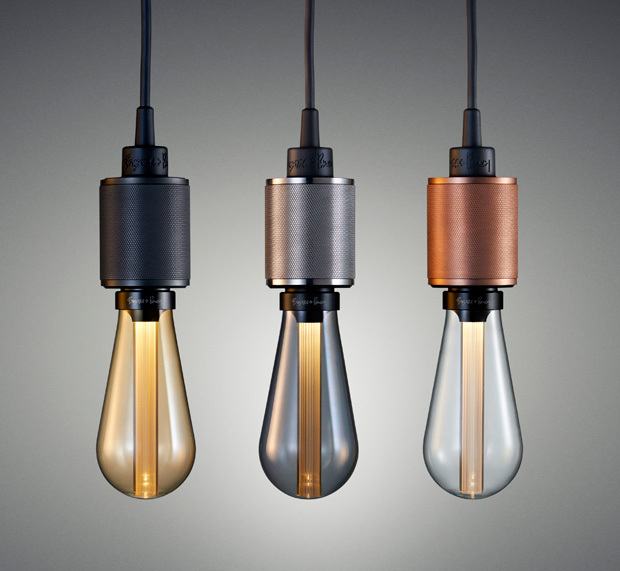 Featuring LEDs, they’re being called “the world’s first designer lightbulbs”, and we have to say we quite like their appearance. Beauty is, of course, in the eye of the beholder, but if you agree with us and fancy to get yourselves one, it’s £40 per. They come in warm gold, smoked grey & bright crystal colors. By David Ponce on 09/18/12 • Leave a comment! 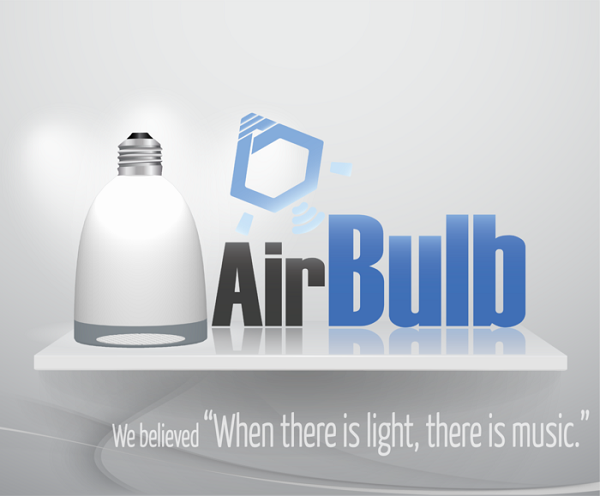 A while ago we wrote about The Bluetooth Light Bulb. It was a nice product but its availability was not known. Now we’re hearing about the LIFX LED Bulb and we’re starting to hope we can actually get our hands on something real. 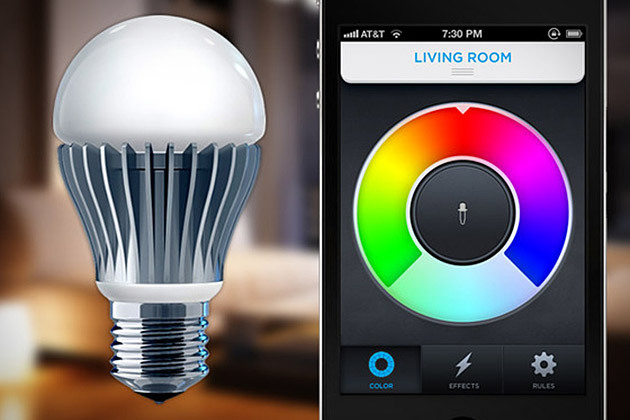 Unlike the other one, the LIFX works with WiFi to communicate with its application. One bulb connects to the router, and then creates a mesh network with every other one you have installed in your home. 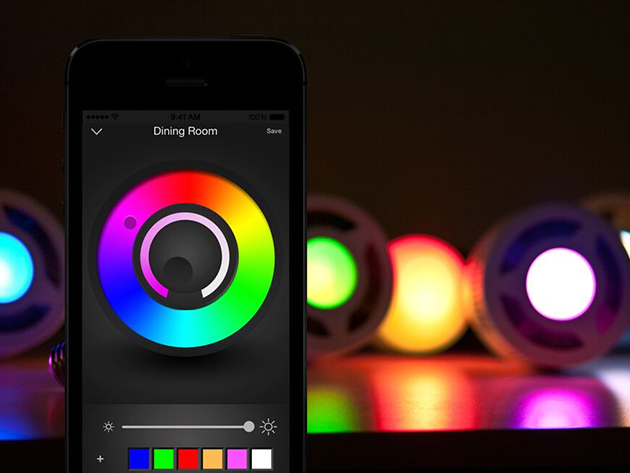 Once online, you can adjust each bulb’s brightness and color, as well as program it with a timer. Other features include the ability to dim the light when you go to bed, and to automatically match the colour to the music you’re listening to (mood lighting). It’s $65 right now as a pledge on Kickstarter, with delivery slated for March 2013. More importantly, the project is not only fully funded, but it’s raised $700,000+ when its goal was $100,000, proving that the market is ripe to bring a bit of innovation to an invention that’s barely changed in the last 100 years.